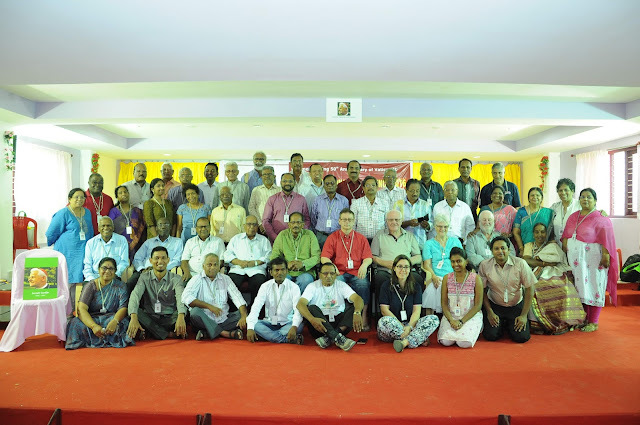 Around 50 former and current leaders from Cardijn movements representing the reality of Australia, Belgium, France, India, Italy, Ivory Coast, Mauritius, Malaysia, Singapore and Zambia met at the Conference organised by the Cardijn Community International (CCI) to commemorate the 50th anniversary of Vatican 2 at Mamallapuram, Kancheepuram district in India (near Chennai). Most Rev. 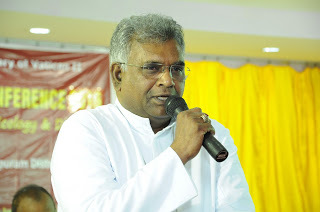 Dr. A. Neethinathan, Bishop of Chengalpattu Diocese who inaugurated the 3 day conference said that ‘inequality’ has become the order of the day and that ‘inequality’ has come to stay. 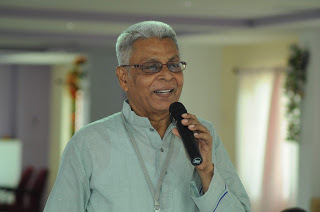 Christ and caste cannot go together, he emphatically said recalling the caste discrimination that is prevalent in his own Diocese and elsewhere in India. Bishop Neethinathan released the conference publication ‘Bringing the Good News to the Poor’ followed by Father Thomas Joseph who released the ‘Lapel Pin’ for Cardijn Community. a definite YES to all forms of life at all stages of life, whether small or great and to the enhancement of enrichment of life rooted in nature. Father Thomas Joseph, 97 years old, worker chaplain since 1950 participated in the conference and was a source of inspiration to all the participants. The participants arrived at the perspectives after a deep study of the reality. A session was exclusively dedicated to paying tribute to Cardijn martyrs and pioneers.